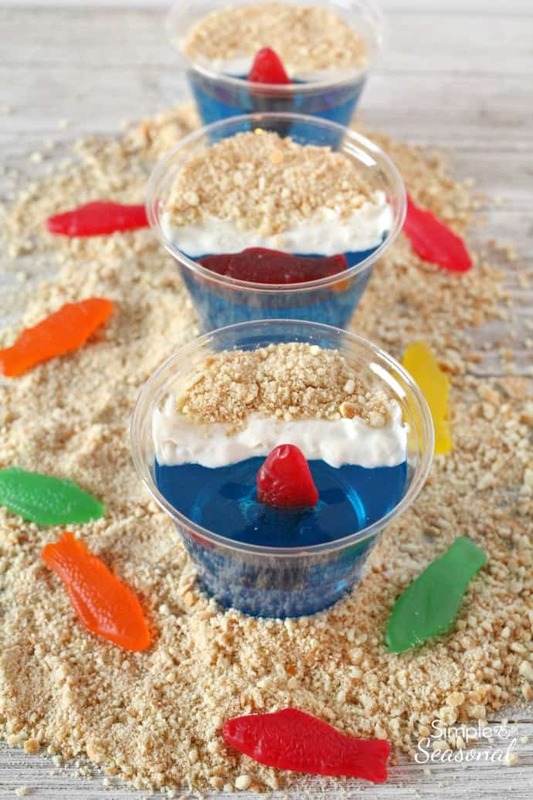 Day at the Beach Jello Cups are perfect for a summer party. The best part is once everyone is done eating the yummy treat, you can just throw away the dishes! Try them for your next luau or pool party. A few years ago I posted some easy luau recipes and ideas, including these fun Day at the Beach Jello Cups. 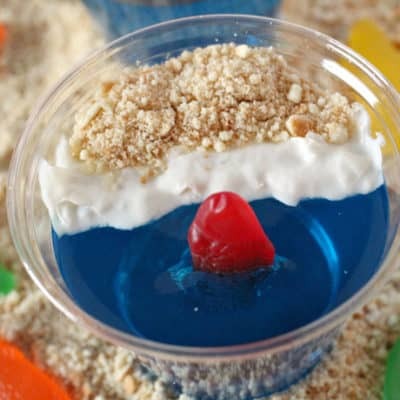 Actually, the first time I made this, it was a beach scene in one large bowl of Jello, but I like the idea of cups better for beach themed parties or a luau. While trying to come up with more luau food ideas, I remembered the little pirate ship jello cups I made for Henry’s birthday party. I adapted that to make this beach scene out of Jell-O. 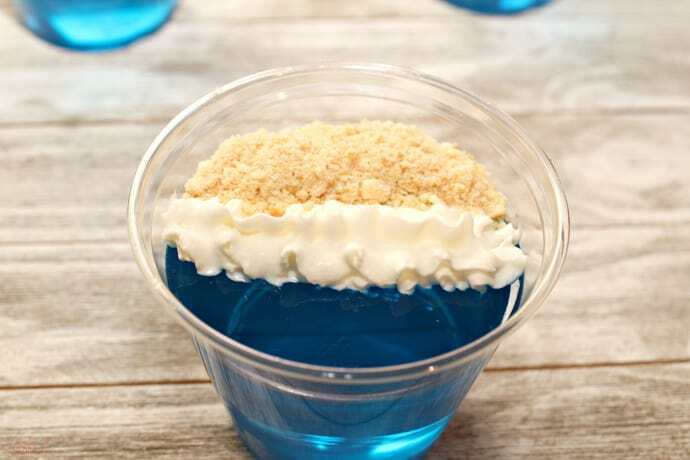 Start with clear plastic cups of blue Jello. Each cup should have 1/2 cup of Jello in it, for a total of 16 servings. You can easily halve or double this recipe for parties! 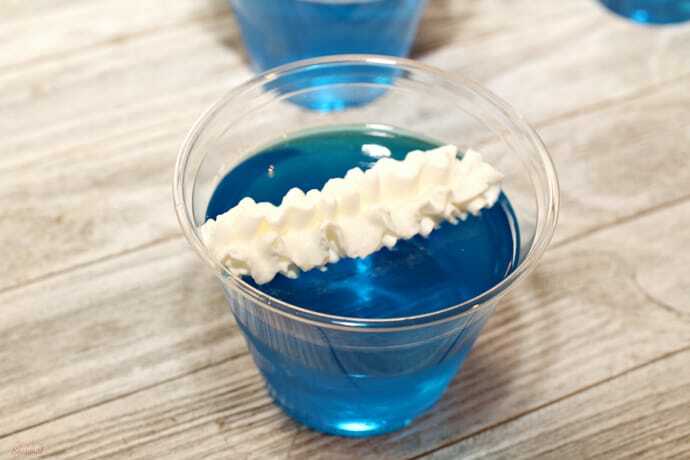 Split the Jello in half with a line of whipped cream “foam” from the ocean. 🙂 Canned whipped cream is easiest to use, but it doesn’t last, so if you want to make these ahead, you’ll need to use stabilized whipped cream or Cool Whip instead. Cover one half of the cup with crushed vanilla wafer cookies. It’s quick and easy to get a great sandy texture from the cookies using a food processor. You can also do this graham crackers, but the color isn’t quite the same and the wafer cookies hold up better in my opinion. Add gummy fish on top, or squish them down into the water. 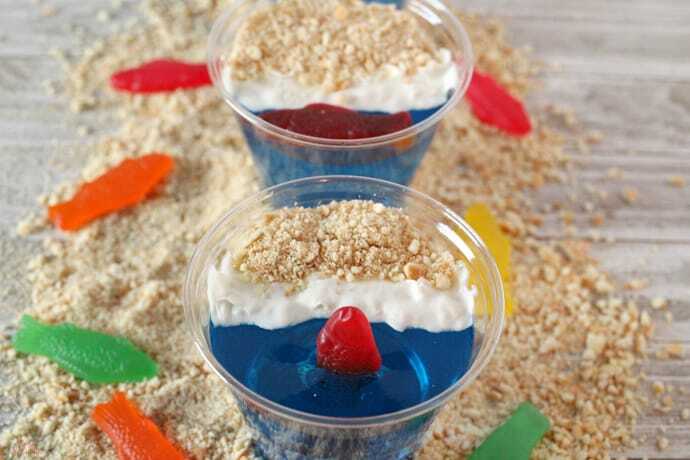 You can put them inside the Jello by either adding them after the Jello has almost set, or slicing a small slit with a knife and pushing the fish down inside. Isn’t that the cutest? The serving size is just right, and the clean up is easy, thanks to plastic cups and spoons. 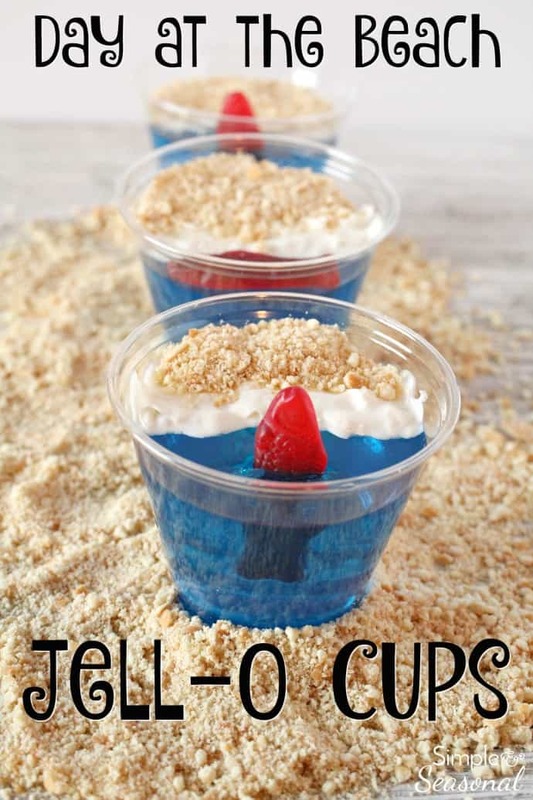 These cute little Jello cups are a refreshing treat for any summer party! 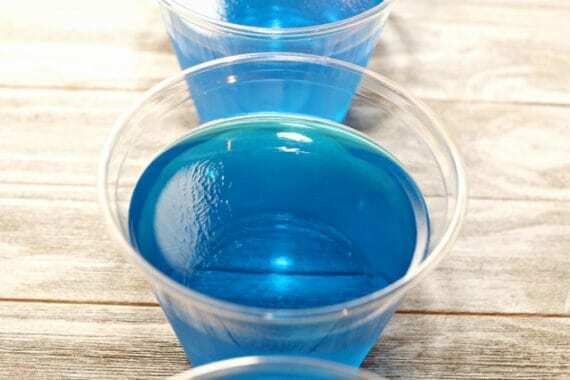 Mix Jell-O according to the package and then pour into cups (or a large bowl) and put in the refrigerator to harden. When the Jello is almost set (not liquid anymore, but still a bit pliable) push a candy fish down into it. You can also do this after the Jello has set, by using a knife to slice a small slit in the Jello and squeeze the fish inside. Using a food processor, crush the wafers to make “sand” for the beach and then added a layer of “foam” with Cool Whip to separate the ocean and the sand. Add any extra fish you'd like and serve on a tray coated with extra "sand" for a fun centerpiece! If you prefer, you can use canned whipped cream, just be sure to serve it right away! 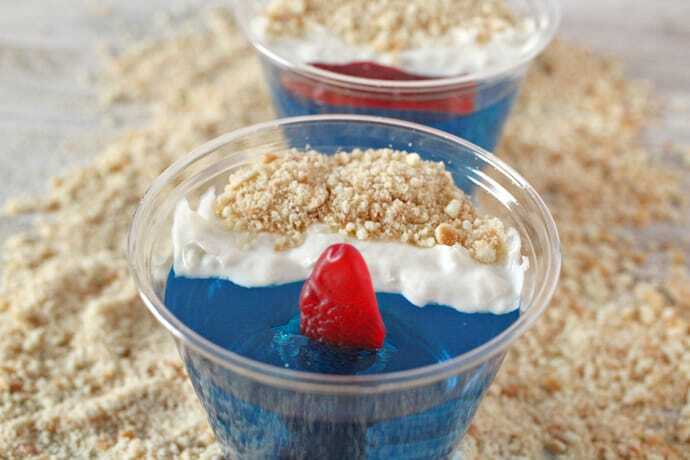 Don’t forget to pin these Day at the Beach Jello Cups for later! 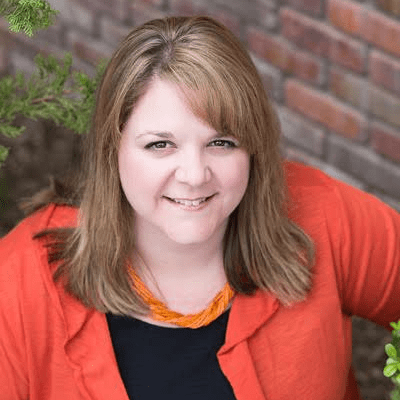 For more great kids’ party ideas, check out some of these other posts!